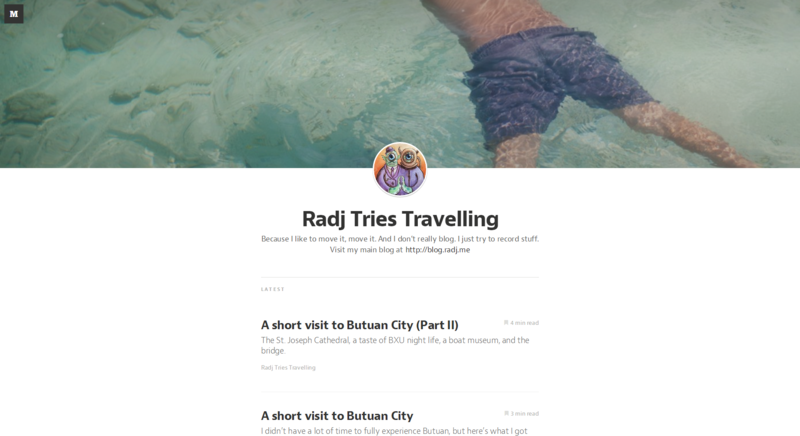 Anyway, without further ado, you can visit and read all my travel writeups at my Medium page: @radj">Radj Tries Travelling. Or click the Travel link in the menu. Warning: I am not an expert travel blogger nor am I a creative. I don't even write about how to get there. Ha. I just... write. Whatever. Also, take a few minutes to explore Medium. It's not only easy to write on, it's easy to read from, too. Edit: They've got nice embed scripts, too. Cool.